If you would like to reduce your points from getting a traffic ticket in Texas, taking a Texas State-Approved Defensive-Driving Course is a great way to do it. IMPROV offers excellent Defensive Driving Online for this purpose and is a best choice for taking a Texas traffic-school course online. IMPROV offers an easy solution for dismissing a Texas Traffic Ticket. This option is affordable, convenient and on a flexible schedule allowing you to choose when and where to learn which a classroom course cannot give you. To get points removed from your driving record and your traffic ticket dismissed, one option is to complete a driving safety course approved by the state. Make sure the course has the approval of the Texas Education Agency. The first step in the process of dismissing your ticket is to admit guilt for the moving violation. You can also sign a "no contest" statement for the citation. Step two is to request permission on or before your court appearance date which is specified on your ticket. The court will tell you your options to respond by mail or in person. Holders of a TX CDL that get pulled over will not get tickets dismissed regardless of the type of vehicle they are driving when cited. Once the traffic court approves a driving safety course, you will be provided with a deadline to complete it. Spare time may be hard to come by for many drivers to sit in a classroom to learn what is needed. However, state-approved driving classes are offered online which you can take at home on your own computer when your schedule is free. As long as you pass by the court deadline, you will fulfill the requirement. Many courts give drivers 90 days to complete the class. Whether you choose an online course, DVD course or traditional classroom, you will receive a certificate of completion for the six-hour class. Many traffic schools send students two copies of the certificate by mail--one for your auto insurance provider and one for the court. Take note that courts will only honor class completion subsequent to receiving a traffic violation. You cannot take and complete a driving course for a future traffic violation. 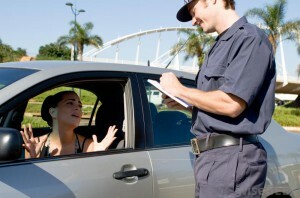 Texas only allows a driver to get a ticket dismissal through completion of a TEA-approved driving course once per year. Citations for not having a safety seat for a child or improperly seating a child in a car seat do not apply to this limit. A Child Seat Belt Safety Class may be taken as well as the driving safety course if the court approves. In order to be sure that your points have been removed or reduced, check your Texas driving record. Even if you were not recently ticketed, it is a good idea to periodically check that the state's records are correct. Too many points accumulated can lead to a suspended driver's license or higher insurance rates for your car. After completing a TEA-approved driver safety course, you will not only get a renewal on Texas driving laws and safety tips for driving, but you may also receive a discount on rates for auto insurance. After completion of a TEA-approved class, many auto insurance companies discount the liability part of your car insurance policy (potentially up to 10 percent). Contact your car insurance agent for more information about discounts. You might be happy to save money over the next few years.